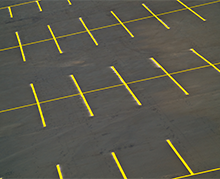 Metropolitan Government Pavement Engineers Council will hold the next regular MGPEC meeting on Thursday, June 20, 2019, 1:30pm, at the Colorado Asphalt Pavement Association (CAPA) office located at 6880 S. Yosemite Court, Centennial. Metropolitan Government Pavement Engineers Council held its 24th Annual Meeting and Comprehensive Pavement Information Sessions on Tuesday, January 29, 2019 at the Wheat Ridge Recreation Center (4005 Kipling Street). Registration and attendance was the highest ever and attendees had the opportunity to attend sessions on the Central 70 Project, Concrete Overlay at Thorncreek Golf Course, Transportation Asset Management, SB18-167, a panel discussion on industry best practices, industry updates as well as other timely topics. Well paved roads are a sign of conscientious agencies managing their pavement programs. 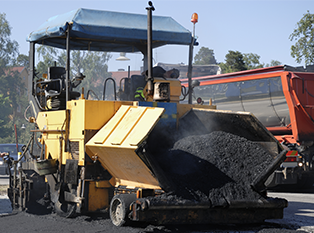 Metropolitan Government Pavement Engineers Council provides guidance and recommendations to keep roads in excellent repair and the community traveling safely. The City & County of Denver received the 2019 MGPEC Member of the Year Award! Dave Potter (left) and Angie Hager (right) accept the award for Denver from MGPEC Chair, Jim Katzer. More information on the Annual Meeting on the "News" page.